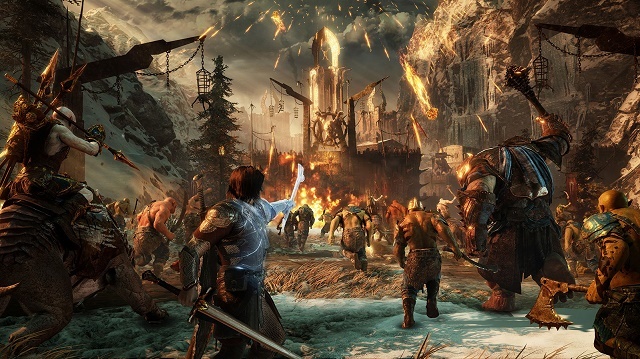 Middle-earth: Shadow of War features the return of Talion and Celebrimbor, who must go behind enemy lines to forge an army and turn all of Mordor against the Dark Lord, Sauron. 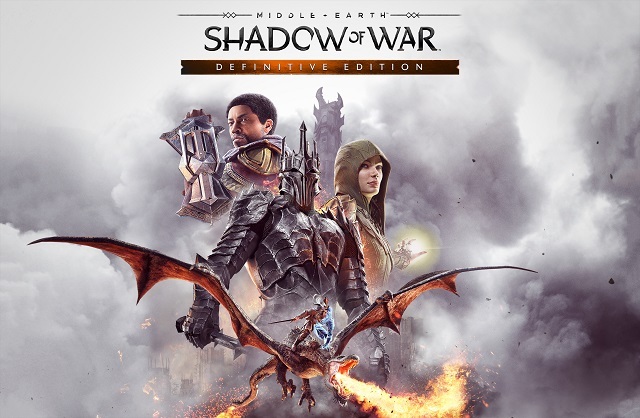 8/1/2018: Middle-earth: Shadow of War Definitive Edition will be available for PC, PS4, and Xbox One on August 28th. 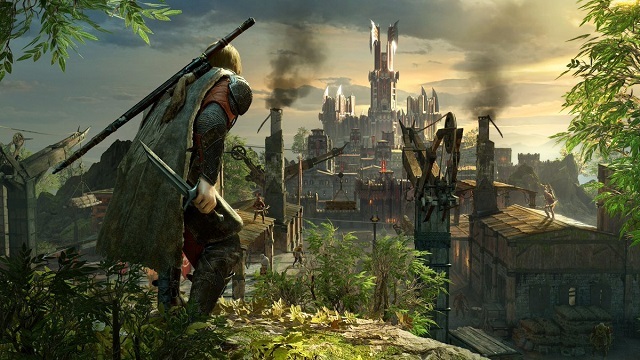 7/17/2018: The free update available today for Middle-earth: Shadow of War removes the market, updates post-campaign play, and makes a number of other changes to the game. 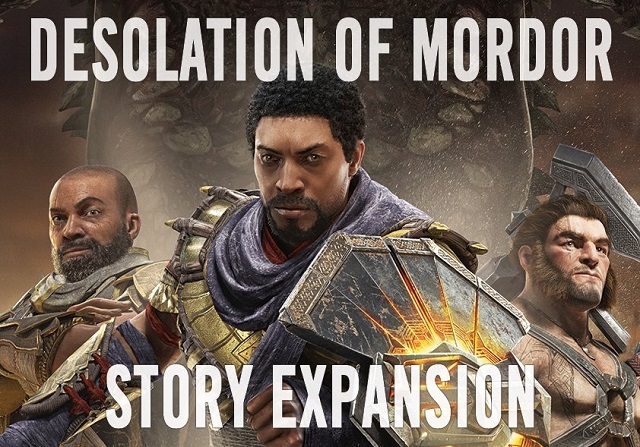 5/3/2018: The Desolation of Mordor expansion for Middle-earth: Shadow of War will be available on May 8th. 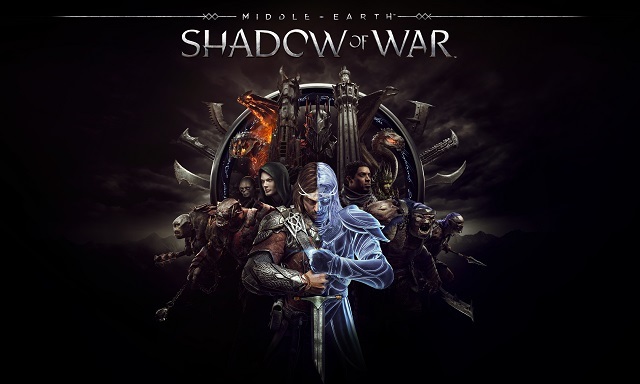 2/6/2018: The Blade of Galadriel expansion is now available for Middle-earth: Shadow of War, and free updates were also released for the game today. 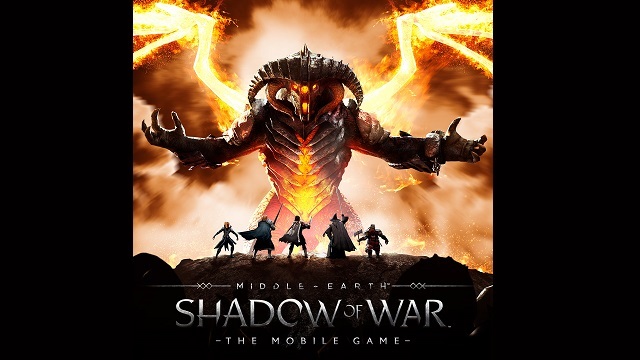 1/19/2018: A new update released today for Middle-earth: Shadow of War Mobile adds co-op play and a Balrog event. 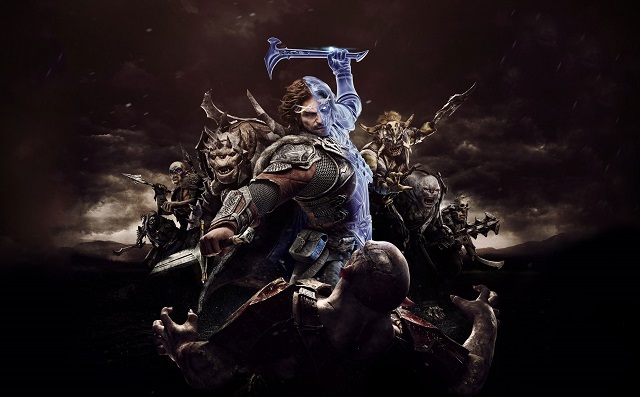 12/5/2017: The Online Fight Pits mode for Middle-earth: Shadow of War is now live. 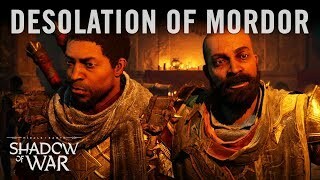 10/10/2017: Middle-earth: Shadow of War is now available on PC, PS4, and Xbox One. 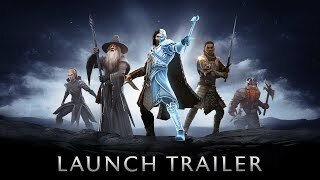 9/28/2017: The free-to-play strategy RPG Middle-earth: Shadow of War is now available for Android and iOS devices. 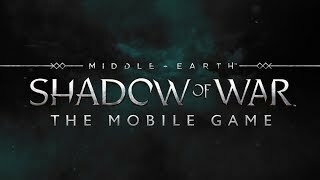 7/27/2017: Middle-earth: Shadow of War mobile will be a free-to-play RPG available for Android and iOS devices. 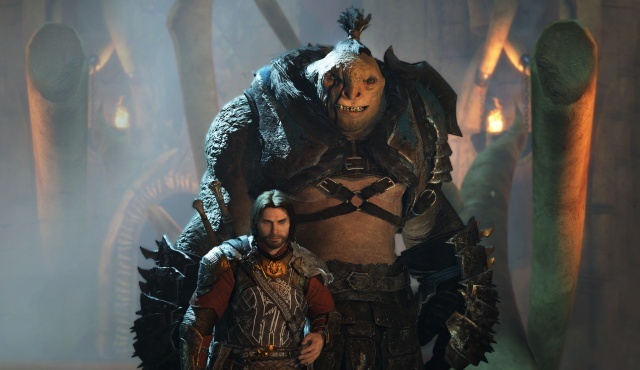 7/7/2017: The Middle-earth: Shadow Of War SDCC Panel will take place on July 21st at 2:00. 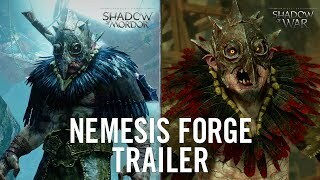 7/6/2017: Gamers will be able to bring their top Nemesis and Follower from Middle-earth: Shadow of Mordor to Middle-earth: Shadow of War. 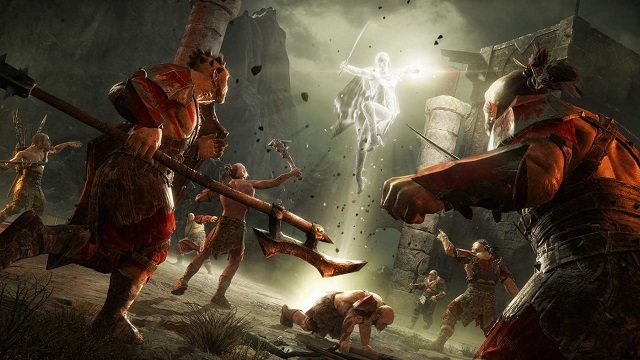 6/6/2017: WB Games Live will be streaming events from its booth at E3 2017 at the Los Angeles Convention Center. 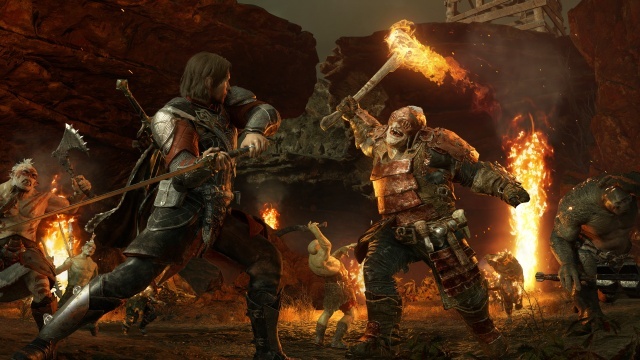 2/27/2017: Middle-earth: Shadow of War is in development and will be available on August 22nd for PC, PS4, and Xbox One.